Baseball is a wonderful team sport, and one of the most popular ones the United States of America. The unique thing about the sport is that it is played mostly in America and Canada. You won’t see it in the Eurasian continents. However, in USA and Canada itself, Baseball has quite a craze. Entire cities freeze to watch the league matches. The fact that it is not played elsewhere in the world has nothing to do with its popularity. On the contrary, in the Eurasian continent, sports like Cricket and soccer are more popular. Conversely, in the USA and Canada, popular sports include NBA, Baseball, and American Football. Baseball is exciting, but it has its own set of rules. If you want to play seriously, not like an ape with a log of wood, it is important to know them. So without any further ado, here are the rules you need to know about. 1. Baseball has a lot in common to cricket. For instance, it is played between 2 teams. Both teams have a strict batting order in a professional game. The rule is that you cannot interfere with the order you have previously stated. If you do, the hitter at fault can be declared out of the game by the umpire. 2. The rules are strict with having your helmet on while playing. Baseball players wear a special kind of helmet. While it does not guard your mouth like the Rugby helmets, it does protect your head. And that is all that counts! If you are caught without one, you’ll be given a warning. If you do it a second time, you will be disqualified from playing the patch. One good reason for wearing it is, regardless of how warm the weather is, the pitcher in a game of baseball throws pretty hard and fast. You don’t want that to hit your head. 3. A batter has a specific strike zone. This zone is the one within which the batter has to perform, and not beyond it. While there are no specific rules for this, it does depend on from one umpire to another. 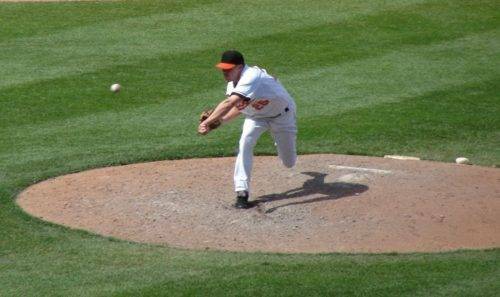 Generally, the strike zone is said to be the area between the top of the batter’s knees and the space over the home plate between his shoulders. This ensures the best performance of the batter as well as for having a fair game. 4. There is something called a “Fair Ball,” and it is essential to know it especially if you are the one batting. If you are batting, and the ball lands within the strike zone, and if it touches areas like the first or third base, then you can try for a home run. This rule is there to enable batters to hit hard once and then run in order to make a home run, which is considered to be prestigious in baseball. 5. Even those who know little about this sport know this: when the Catcher takes the ball before the Batter has a chance to hit it, it is known as three strikes or Strike Three. And generally, once this happens, the batter is considered to be out! However, this does not happen in the catcher fumbles the ball during the last strike and if the batter has already run to the first base safely. However, this rule depends on from one professional league to another. Some do incorporate it while others do not. 6. In most cases, the benefit of a tie goes to the batter. For instance, you hit hard at the ball and start running to make a home run. However, you are only able to run to the third base. And only just, because if you were one moment late you would have been out. In situations like this when you arrive at the same moment the fielder get the ball at that same spot, you are still in the game and are not considered to be out! 7. This is one of the most popular sides of the sport, and even those who are not familiar with baseball can describe base running. League players are known by how many home runs they have made over their career, along with other scores. So how exactly is the home run scored? After hitting the ball hard, and when you start running, you need to touch every base pad with your bat. If you miss one, you need to go back for it and then resume running! While doing this, you stand a much greater chance of getting run out. There are much more rules for base running! While running, you cannot pass a fellow runner. At all times, you need to stay away at least 3 feet away from the player. 8. In order to get a player out of the match, fielders or even the pitcher need to tap him or her with the ball. All all times, players need to wear a glove, especially a pitcher.